Not The Barnet Times: Have the Greens got the answer? 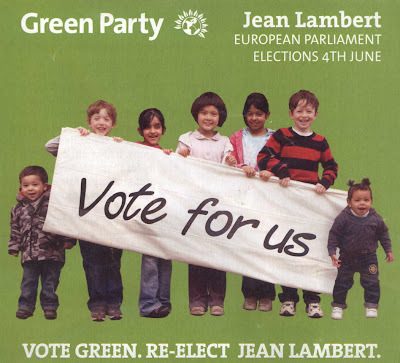 An election leaflet for the Green Party has just dropped through my letterbox. Normally, I do the only socially responsible thing and put it straight into the recycling box. But the front cover caught my attention (as it was supposed to, I guess). A group of children carrying a banner saying “Vote for us”. The more I think about it, the better I like the idea. Let’s vote out all the troughing politicians and replace them with a bunch of kids. They won’t make any worse a job of it, and at least their expense claims will be limited to a few Wagon Wheels and a pizza.